MQ1: What a great idea! But I don’t see music for (_my instrument_). Are you going to add that later? MA1: The short answer is yes. Our minions are hard at work creating arrangements for the typical instruments found in a wind ensemble at a middle school or high school. If a particular instrument isn’t available yet, send us a note via our contact page and then watch for news and announcements. We will try to accommodate . . . but we just don’t foresee much demand for hymns for didgeridoo. MQ2: My favorite hymn is (_hymn ###_) and you don’t have it. Are you going to add that later? MA2: Yes with an IF. That is, Yes, IF the hymn isn’t mired in copyright issues, the minions will eventually get to it. That is the plan. Please send us a note via the contact page to help us prioritize which hymns to work first. MQ3: Your arrangement of (_hymn ###_) for (_my instrument_) is a bit hard to play. Is there an easier arrangement? MA3: Short answer is No, not yet. Our goal is to write music which can be played along with the piano or organ hymnbook arrangement. This means that some of the key signatures are going to be more difficult and that sometimes the range will be quite high and/or very low. We strive to make the music accessible to developing players who put in a little practice, based on feedback from our network of play testers and musical consultants. MQ4: Hey! Your arrangement of Part 3 or Part 4 of (_hymn ###_) isn’t exactly like the piano arrangement. What gives? MA4: Correct. In some hymns, in order to accommodate the range of the instrument, certain notes in Part 3 and Part 4 are sometimes taken up an octave or changed to match another pitch in the chord. We strive to make the music accessible which sometimes requires this sort of small change. MQ5: So the arrangement in the Hymnbook is nice and all, but I’m looking for something with more pizzazz. Will you ever have anything like that? MA5: Yes, eventually. One of our minions thought it would be nice to offer hymn “embellishment” arrangements, that is, a descants, solo, or soli. We thought it was a great idea. Our first priority is to provide a good foundational library of available music and then venture into more unique offerings like this. MQ6: I play in a brass quartet. Are you going to offer arrangements for mixed instruments? MA6: Yes, eventually. We hope to have arrangements soon for “standard” mixed groups, like a brass quartet, a saxophone quartet, or string quartet. Our first priority is to provide a good foundational library of available music and then venture into more unique offerings like this. MQ7: I actually don’t have a copy of the Hymnbook at home. Do I need one to play these arrangements? MA7: No. Not at all. The arrangements we make here are “self-contained” in that you don’t need anything else besides your talent, your instrument, and the music (of course). 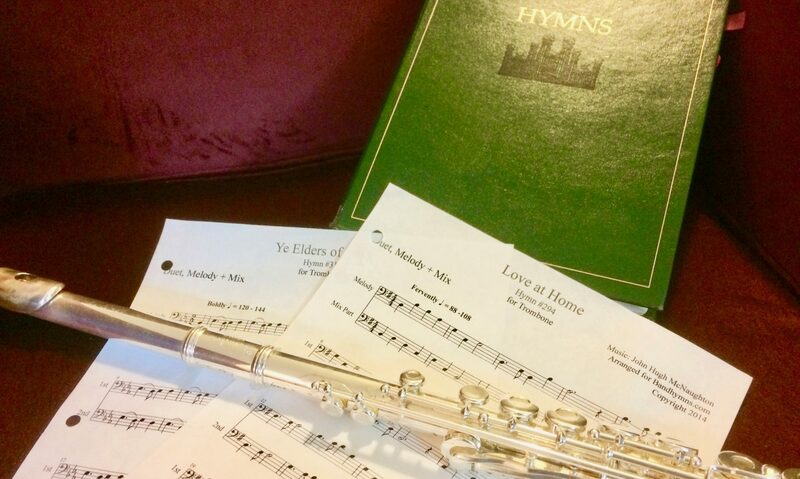 If you download a Single Page Duet or the Complete Score, one part is the melody of the hymn and can be played all by itself. PQ1: I don’t have a PayPal account. Can I pay with a credit card? PA1: Yes! Although the transaction is processed through PayPal, you do NOT need a PayPal account to buy the music. PayPal allows you to pay with most major credit cards. PQ2: I bought a piece of music and somehow the download got screwed up. Can I download it again? PA2: Yes. The purchase process is described in this post. Once a purchase is made, you should be able to download right away AND you should get an email sent from “sales@bandhymns.com” with a download link. The link in the email is active for several days after you make the purchase. Just click it to start the download again. If all else fails, go to the Contact Us page and send us a note. Our Customer Service department will try and make it right. GQ1: How did Bandhymns.com get started? GA1: Everyone at Bandhymns.com either plays or use to play an instrument in middle and high school (and some in college). We’ve all had the experience of picking up the hymn book to play something with a mixed set of instruments and found it a bit of a challenge. One of our minions recently started to play clarinet. When we couldn’t find clarinet arrangements, we started making them . . . Ta Da! Bandhymns.com was born. GQ2: Some of my friends at school like to play hymn music too, but they are not LDS. Can they still use these arrangements? GA2: Certainly Yes! Some hymns are quite specific to the LDS Hymnbook, such as “Praise to the Man”. However, many of the hymns in the LDS Hymnbook are well-known hymns across most Christian denominations such as “Onward Christian Soldier”, “Rock of Ages”, and any of the Christmas hymns. Bandhymns.com invites everyone who believes these hymns to be songs of praise to download and enjoy! GQ3: I like the idea here and it’s great that these hymns are available for my instrument, but what’s with charging money for hymns?!? GA3: We understand, but the answer is simple and straight forward. We are charging a small fee for our effort. It takes time to transpose and write the sheet music for each instrument. It takes time to upload the files and manage the website. It takes some money to pay for hosting and resources. It seems fair to us that we should be compensated. None of these FAQs addressed my question. Is there someone I could contact? Yes. 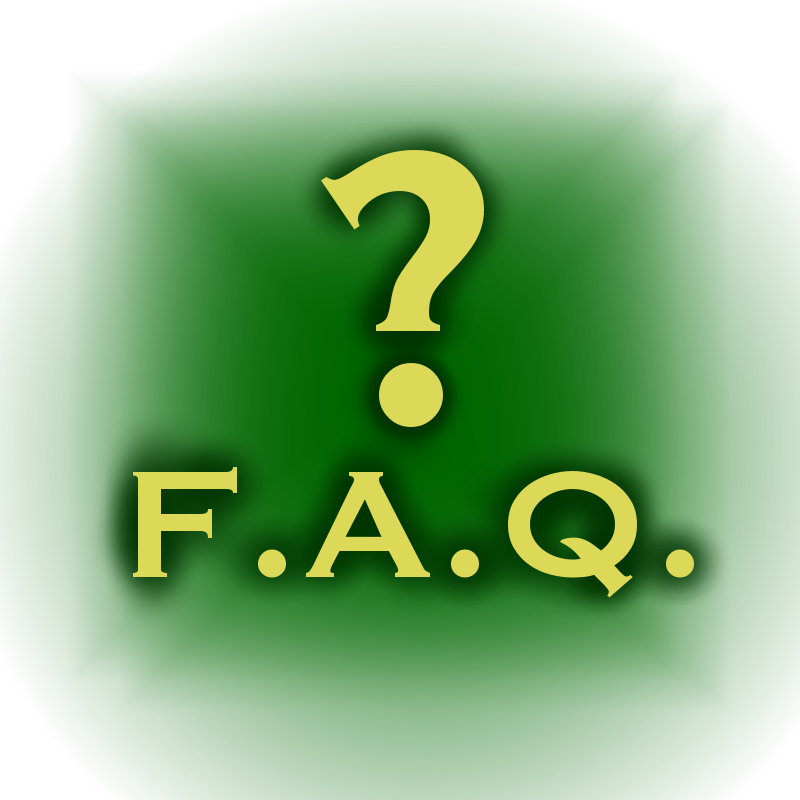 Please send us a detailed question along with your contact info using our Contact Us page. We will try our best to address your question. Thanks for your feedback! And keep an eye open for news and announcements.